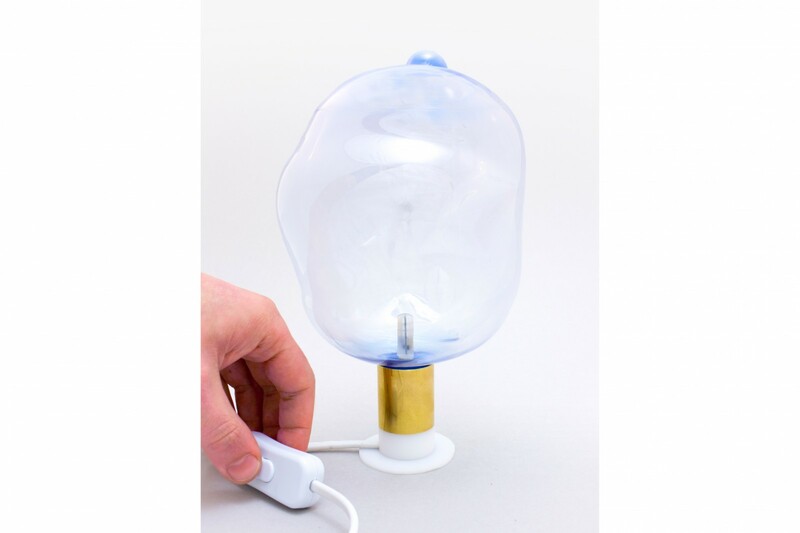 The BLOW lamps and vases are unique DIY products that simultaneously increase the understanding of production processes. 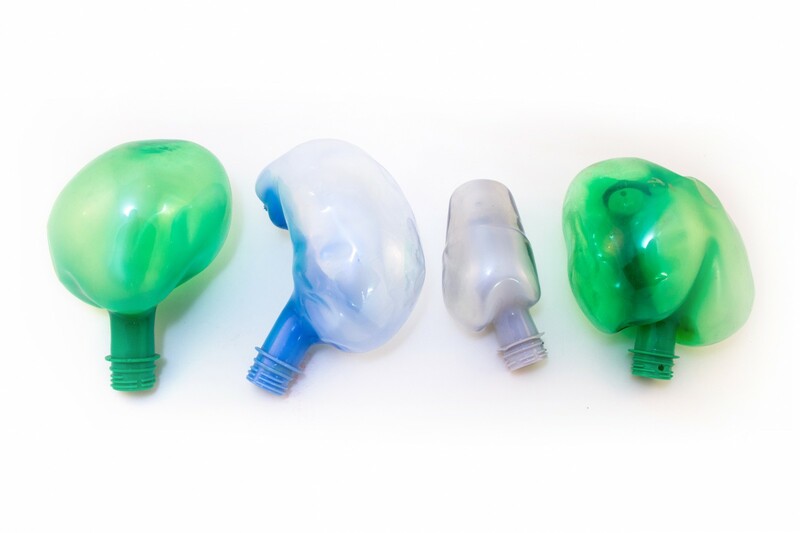 The DIY kit uses the same material as PET bottles in a way that resembles glassblowing. With the automated process translated into a manual youngsters can easily create it themselves, at home or in the classroom, needing just an oven and an air pump. People are rapidly losing knowledge of production processes. We often don’t even know how everyday objects are being manufactured. 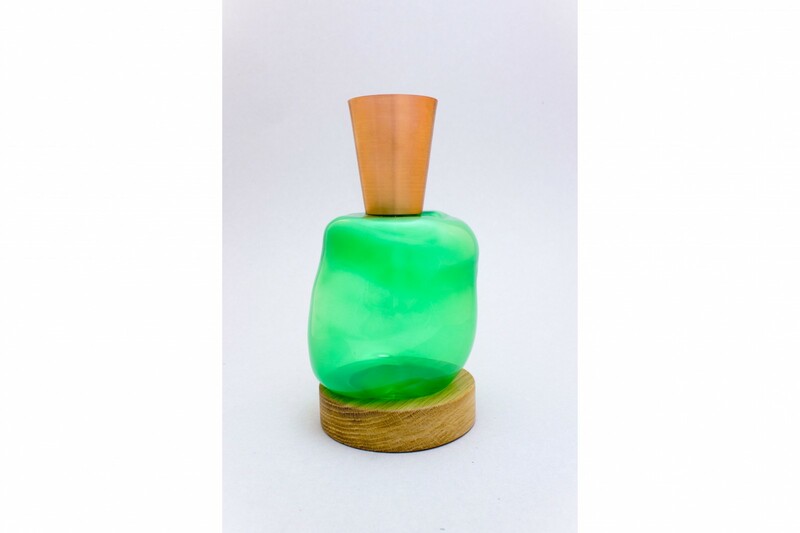 The PET bottle is a great example of such an object. How great would it be to translate the automated production into a manual one, allowing to create your own unique design while learning about these forgotten processes? 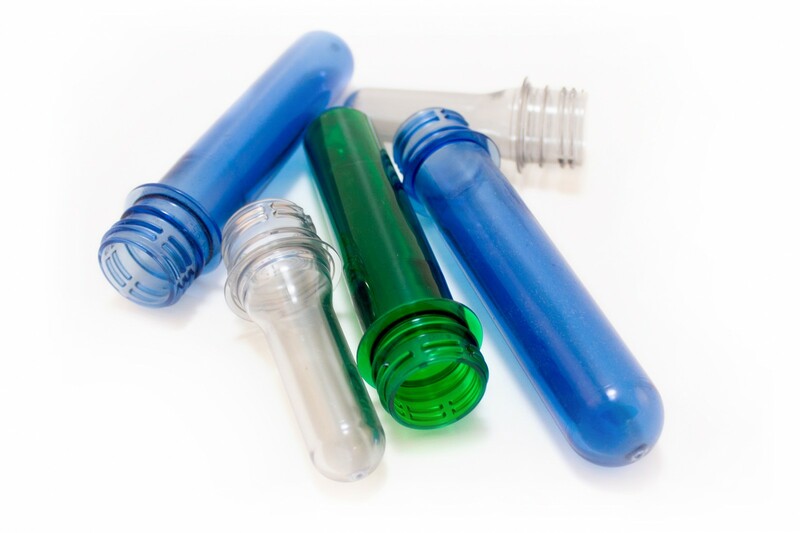 To create a user-friendly process I first needed to examine how a PET bottle is industrially made. I visited a packaging company in Berlin to get an insight in this industrial process. I got a couple of preforms to experiment with the material, trying to simulate the process. 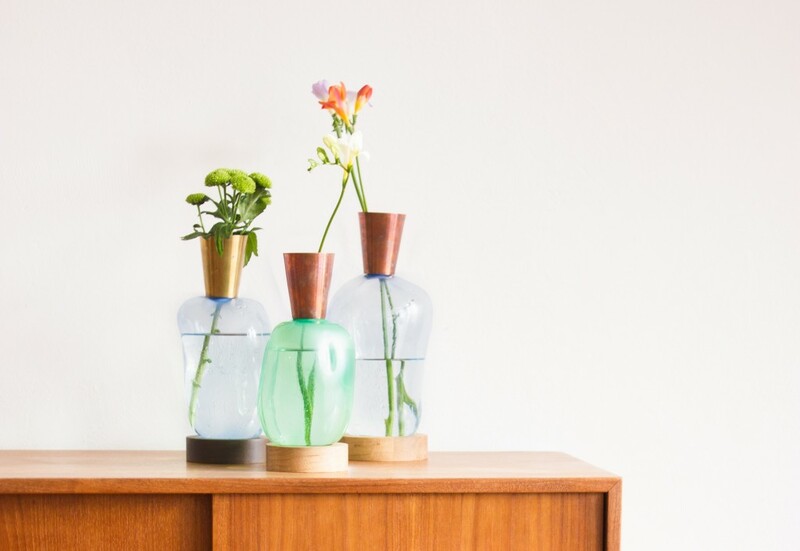 After repeating this over and over we found the best way to create unique lamps and vases. The final design is a DIY kit that can be used for educational purposes or for creating your own unique product. 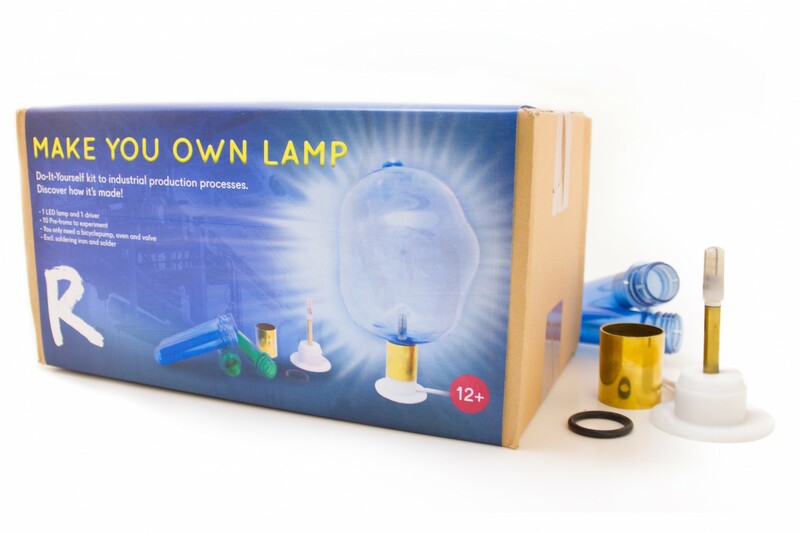 ..and a kit to make lamps. For the lamp some additional materials are needed as it involves brazing. Our BLOW products allow for creating a relationship with the product. The DIY kit is used for teaching purposes, comes with an instruction video, and shows a nice insight into industrial production. The product was awarded with a special mention for the ‘Copper and the Home 2014’ competition by the Copper Alliance. It is hopefully the first part of a series of DIY products that give insight into production processes. 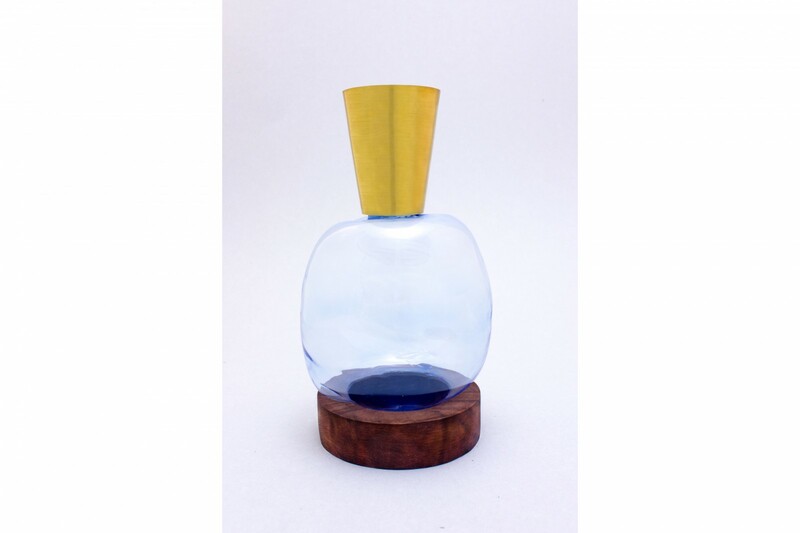 The lamps and vases can also be bought via our contact form. Are you looking for innovative concepts for education? Or you have an idea but don’t know how to develop it?